An Italian Modernist chest of drawers. 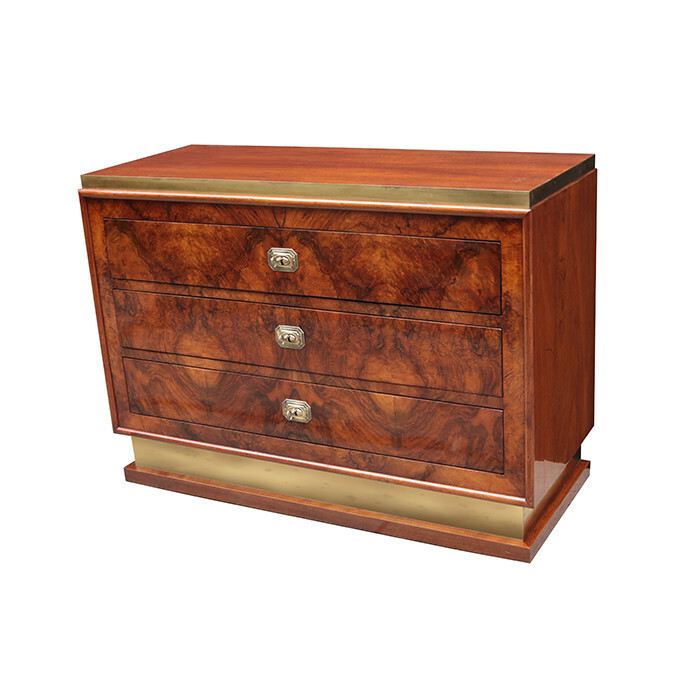 Walnut burl with patinated brass details. Dimensions: H:31¾ W:4½ D:18 Inches.